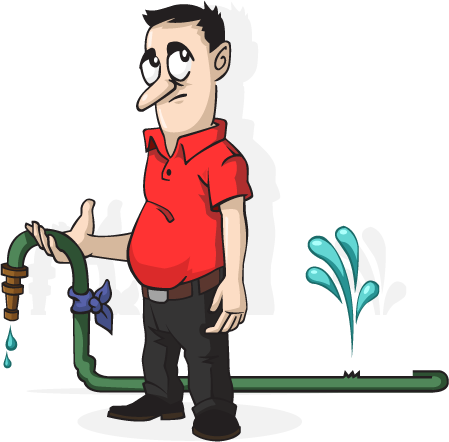 The drainage and sewer line experts of Los Angeles - we can fix anything! Not many businesses can say they’ve served Los Angeles for over 80 years. Hammer Plumbing & Drain is proud to be the exception to the rule. But our history hasn’t stopped us from keeping current with our customers’ needs. As homes have become more sophisticated and plumbing has evolved over the years, we’ve remained at the forefront of exceptional service. No job is out of our reach. There are many plumbers in Los Angeles, but our trained technicians have always represented the city’s top talent. No matter what your plumbing issue is, we can fix it. We’ve accrued a lot of wisdom over the years, which has been passed down through the generations. For the best plumber Los Angeles has to offer, call Hammer. Our team has the unique perspective of generous experience and cutting edge, contemporary skills. It’s a combination that can’t be matched. From older residences, to brand-new commercial buildings, we’re ready to meet your needs. Widely regarded as a plumber Los Angeles can rely on, Hammer is here to serve you. From smaller inconveniences such as clogged toilets, to major problems like burst pipes, we’ve seen it all. No matter how well preserved your home is, plumbing problems are inevitable. Many people try to repair them on their own. Depending on the scope of the issue, this may be an effective solution. But sometimes there are related issues that might go undetected by the untrained eye. For example, a leaky faucet may seem like an easy fix, but did you know that it might actually be indicative of a greater, more destructive problem with your pipes? In most situations, you want the expertise of a skilled Los Angeles plumber. Hammer can quickly identify and diagnose whatever’s plaguing your home or business. If your commercial building project requires proper plumbing and installation, we can handle that. If your house is suffering from inexplicable weak water pressure, we can repair it.– and we can do it at the drop of a hat. Los Angeles plumbing is unpredictable. Nobody plans for a flooded bathtub or a broken water heater. Emergencies tend to hit at the worst possible time, which is why we’re available 24 / 7 to meet your last-minute, off-hours needs. Many neighborhoods in our city are known for their beautiful homes. From classic art deco design to generally well-manicured lawns, residential Los Angeles is a site to behold. But many of these yards require persistent upkeep to maintain their beauty, which is why sprinkler systems are so important. You can always water by hand or with a hose, but anyone who’s tried those methods knows that they’re just not completely effective. They fail to achieve even and full water coverage of your yard. A lot of Los Angeles plumbers may be familiar with sprinkler systems, but only Hammer can effectively install them at a reasonable price, giving you exactly what you want. No matter the design of your lawn, we’ll set up your sprinklers to maximize their reach and efficiency. Working together with you, we can ensure that they hit every last blade of grass, as well as any important garden areas. For plumbing services Los Angeles can count on, call us. We’ll help maintain your yard’s natural beauty. Experiencing a backed-up toilet is one thing, but having a sewer line burst in your yard is quite another. Of all the plumbing companies in Los Angeles, Hammer excels at meeting this kind of major plumbing problem. Sewers are critical to us. Without them, our lives would be seriously disrupted. However, they can also cause great anxiety if they fail to work properly, or even worse – break. Soaked grass, overflowing fixtures and bad smells are just a few of the unseemly symptoms. Call Hammer if you have a problem with your sewer line. Despite it being located underground, we can identify the site of the leak. Using minimally invasive techniques, we’ll repair or replace the line in order to minimize the damage done to your property and home. Similarly, if you think you have an issue with drainage on your property, don’t wait to see how bad it gets. For the best plumbing contractors Los Angeles has to offer, Hammer will accurately assess the problem, give you a fair quote, and execute the job. You can count on us for thorough, reliable work. Smaller jobs can often be handled by one or two of our technicians, but for bigger challenges involving residence-wide drainage, we may have to assemble a small team of contractors. But rest assured, our work is always fair and always to your benefit. While a disrupted sewer line may sound like a nightmare, it’s perhaps not quite as serious as break in your water main. If you’re unfamiliar, this plumbing term refers to a principal supply pipe that connects a network of other pipes – all underground. Sometimes it’s used to describe the pipe that connects your home’s plumbing to the community’s. In any event, if it breaks from corrosion or disruptive tree roots, the results could be inconvenient at best, catastrophic at worst. If you suspect there’s been a break, don’t hesitate. Call in the pros. For the best plumber Los Angeles has to offer, contact Hammer. We can save the problem from becoming an all out disaster, or if the situation has developed, stop the disaster in its tracks. Problematic water mains can affect your home with dirty water or backed up fixtures, which of course can be a serious headache. However, they can also negatively affect the community as well. When these pipes burst under the street, they can cause flooding, traffic congestion, and even injury. Fortunately, the experts at Hammer know their way around this kind of problem. Our team can restore order, and repair the damage.